Spearheaded by British celebrity chef Jamie Oliver, Jamie’s Food Revolution has spurred national, coordinated nutrition movements in the UK, Canada, and Australia. The revolution’s six-point plan focuses on wide-sweeping changes for governments, schools, and individuals. With far-ranging celebrity power, Jamie Oliver has greatly increased the visibility of healthy eating in the media and is clearly inspiring national efforts that seek to promote a culture of health. Jamie’s Food Revolution is an exceptional example of celebrity power in generating excitement for health causes. As of December 2016, there were well over 700,000 “Revolutionaries” who had signed up to receive news, advice, recipes, and more, all focused on increasing healthy eating in homes and communities. The various efforts and programs of Jamie’s Food Revolution all relate to one or more of these points. Jamie’s Ministry of Food, the flagship education program of the Revolution, provides cooking classes focused on developing culinary skills and nutritional knowledge for people with little or no cooking background. The Jamie Oliver Food Foundation also oversees a restaurant called Fifteen, a social enterprise (motivated by social impact rather than profit) that trains unemployed youth who have dropped out of mainstream education for careers in the restaurant industry. The Kitchen Garden Program brings together nutrition, gardening, and cooking education for schoolchildren. Jamie’s Food Revolution is also piloting a broader, more community-level program to reduce sugar consumption, Sugar Smart UK. 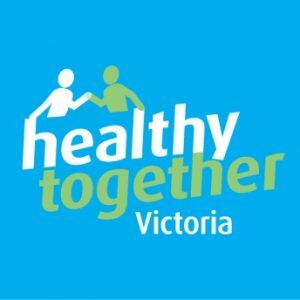 The pilot has worked with sports stadiums, hospitals, schools and universities, restaurants, and other local institutions to provide healthier options and, in some cases, impose a voluntary “sugar levy” on sweetened beverages. It also provides free educational materials, including downloadable flyers on sugar content to be posted on vending machines or in restaurants. The pilot has concurrently introduced the Kitchen Garden Program into local schools, and a Ministry of Food training program into the local university. All programs are presented together as a single, connected entity—the Revolution—which, taken as a whole, represents an effort to raise awareness for the six-point plan in its entirety. Jamie’s Food Revolution is an exceptional example of celebrity power in generating excitement for health causes. As of December 2016, there were well over 700,000 “Revolutionaries” who had signed up to receive news, advice, recipes, and more, all focused on increasing healthy eating in homes and communities. Beyond just creating recognition and excitement, Jamie Oliver gives his Food Revolution an effective way to increase visibility and coverage in the media. Several of the programs that now make up Jamie’s Food Revolution have been the subject of television programs, including the Fifteen culinary apprentice program and the Ministry of Food program. One of his early shows, Jamie’s School Dinners, focusing on the unhealthy food in schools, inspired the “Feed Me Better” movement that influenced Britain’s Parliament to invest in improving the health of school meals nationwide. Of course, the celebrity emphasis makes Jamie’s Food Revolution challenging to replicate. There can only be so many “Jamies” out there at any given time, and the potential impact diminishes along with the recognition of the celebrity. The combination of many approaches under the Revolution’s umbrella sets it apart from the health-focused initiatives of many other celebrity chefs. 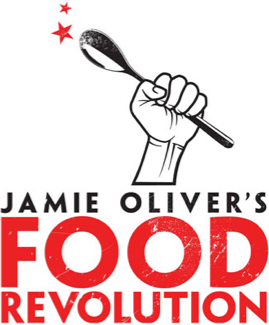 Beyond being just a celebrity-endorsed public awareness campaign, Jamie’s Food Revolution is a full-fledged effort that combines awareness-raising with action. It organizes itself around a clear, six-point political action plan, and then operates a suite of programs that reflect this mission. In addition, the Revolution appears to be working constantly to scale and spread its impact. Some programs, like Jamie’s Ministry of Food, have been replicated in other countries. Others are being actively scaled to the national level. The Fifteen apprenticeship program is being replaced with a more widespread effort based on the original model. Sugar Smart UK is being piloted in a single town, but with the explicit intention of expanding to a nationwide grassroots campaign. The Kitchen Garden program provides educational resources for free, in hopes of spreading to schools throughout the UK. This focus on scalability makes Jamie’s Food Revolution a strong example of how a non-governmental effort can lead to national change. “Tackling Obesity,” Jamie’s Food Revolution, n.d., http://www.jamiesfoodrevolution.org/obesity/. “What We Do,” Jamie’s Food Revolution, n.d., http://www.jamiesfoodrevolution.org/what-we-do/.